Buy with an account and earn 65 loyalty points. Your cart will total 65 points worth $6.50 for future use. This Digital Quran Pen Reader is available with either large or medium size color-coded Mushaf Tajweed comes with many unique new features. The pen is loaded with 20 full Quran recitations and 8 audio translations which you can all listen to with the built-in high quality speaker. 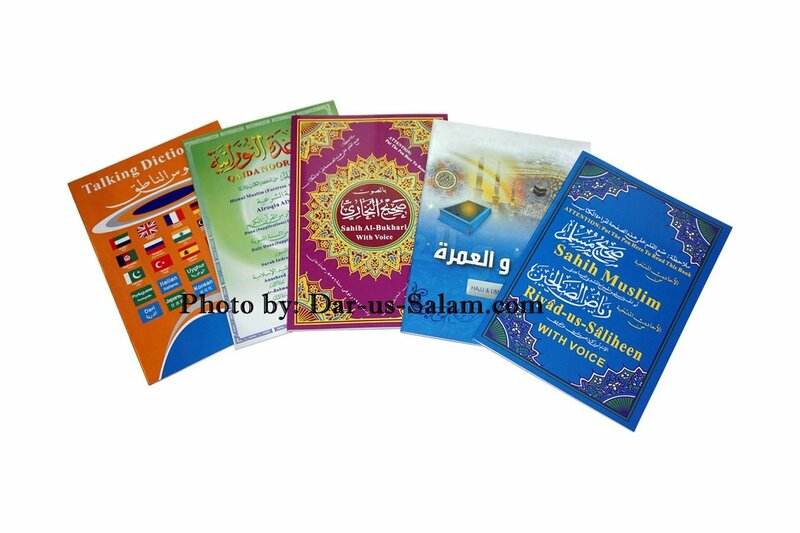 Additionally, it has 5 booklets with Arabic audio reading of: Sahih Al-Bukhari, Sahih Muslim & Riyad-us-Saliheen. 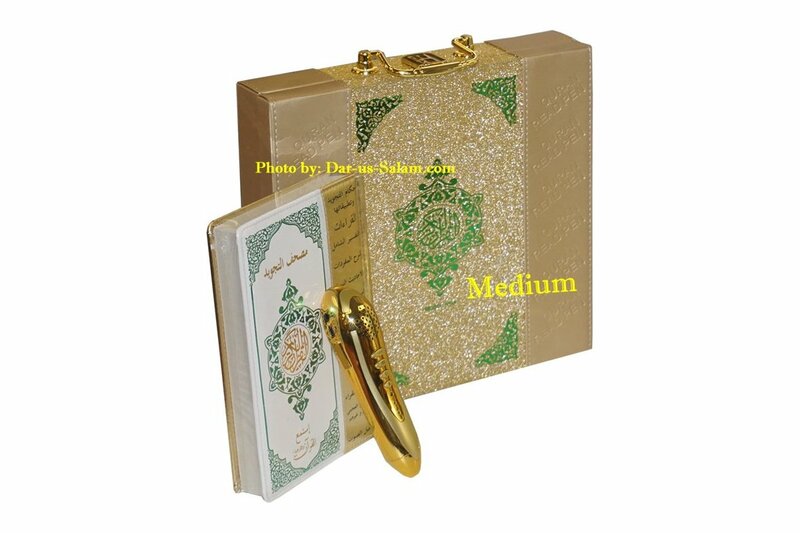 The books contain an index of the hadith and when you point to the hadith the pen will read it out to you. Subhanallah! Plus there is a Talking Dictionary books with several languages. Everything comes in a beautiful carrying case as shown. 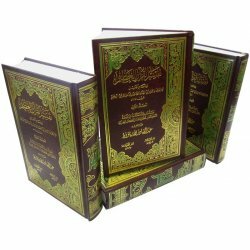 Learning to read the Quran is now easier than ever! This excellent new Quran pen reader is ideal for listening to and learning the recitation of the Quran. There are no computers or devices required, and children and adults can conveniently recite anywhere, at any time. The Mushaf that comes with the Quran Readpen is printed in beautiful Othmani script font and pages are layered with invisible coded grids. The Pen Reader optically detects each unique code on the grid and will read the corresponding verse in a beautiful voice. First point to the Reciter you want to listen to and then you can either point to any verse or point to the beginning title of each Surah to hear the whole chapter. This provides a very convenient way to learn, memorize and recite the Quran, all in just 3 easy steps point, listen and recite. 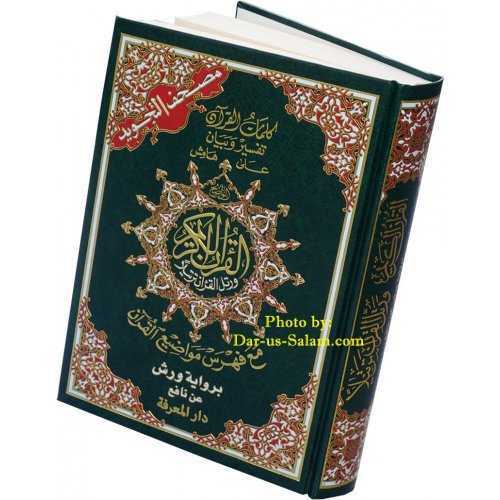 You can even listen to the Quran just by the use of the function booklet and the digital pen. The sound comes through the built-in speaker of the pen, and earphones can be plugged in for a more concentrated and private listening. 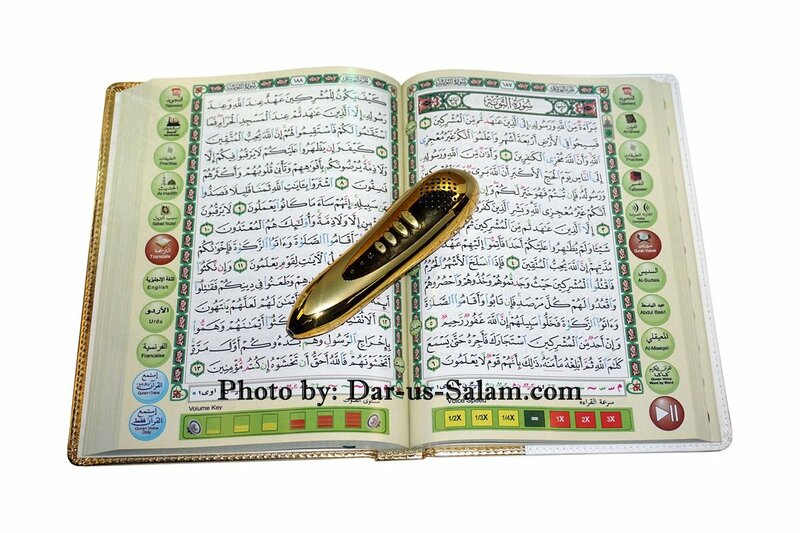 Recitation of the whole Quran is stored inside the memory chip of the pen, in digital format. The pen is rechargeable so you don't have to bother with changing batteries and it features an auto shut-off feature to save battery. 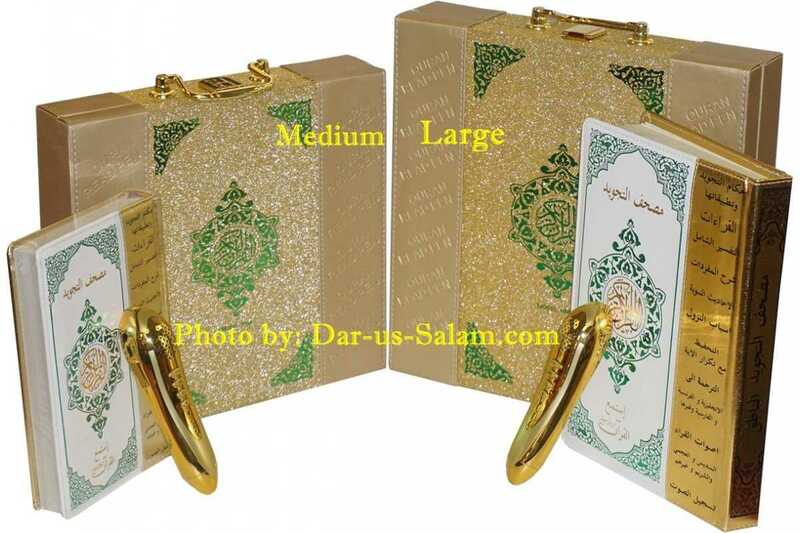 Large size - Model HM10 - Mushaf size: 7x9.7x1.1" Box size: 11x11x2.5"
Medium size - Model HM9 - Mushaf size: 5.4x7.7x1" Box size: 10.2x9.5x2.2"
Foldable quick function card with access to translations, recitors, duas & ReadPen functions.